Experience the dramatic landscapes, impressive rivers and spectacular waterfalls on a 10-night expedition cruise. 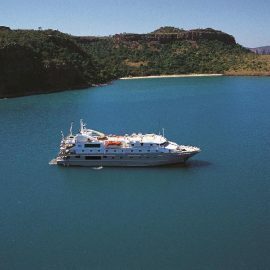 Coral Discoverer is a 63 metre vessel, accommodating just 72 guests and is purpose-built for navigating the tidal rivers and rugged coastlines of the remarkable Kimberley coast. 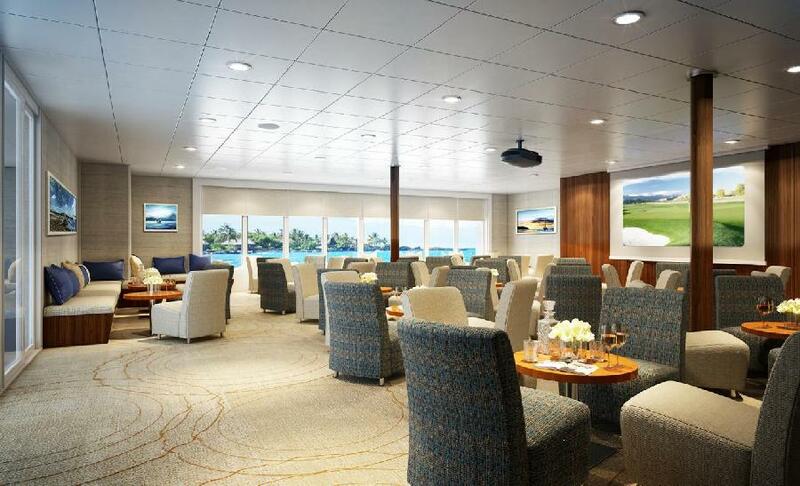 In November 2016 Coral Discoverer underwent a major refurbishment. The Sun Deck became a new social space complete with a round bar with bar stools and sun deck with lounges and areas to relax. 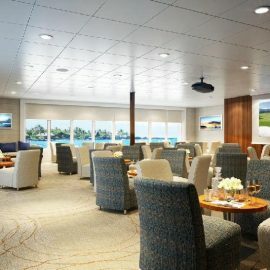 The dining and lounge areas also have been refurbished. Enjoy the finest of local dining and the option of dining al fresco on Coral Discoverer’s aft deck. 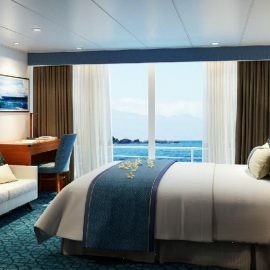 Guest accommodation also received a substantial upgrade with the addition of six Bridge Deck Balcony Staterooms providing converted inside/outside living quarters; along with a full upgrade with updated bathroom fixtures, soft furnishings and artwork to each of the Staterooms. The vessel operates with the attentive all-Australian crew, Expedition Leader and Guest Lecturers who are selected for their knowledge and experience in history, anthropology and geology. Excursions are aboard Xplorer, the unique, specially designed excursion vessel. To board, simply step aboard from the Main Deck and the ship’s hydraulic lift gently lowers Xplorer into the water. 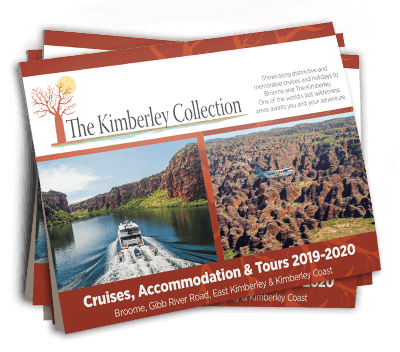 With at least two landings most days you’ll have more time to enjoy the scenic beauty of the Kimberley. 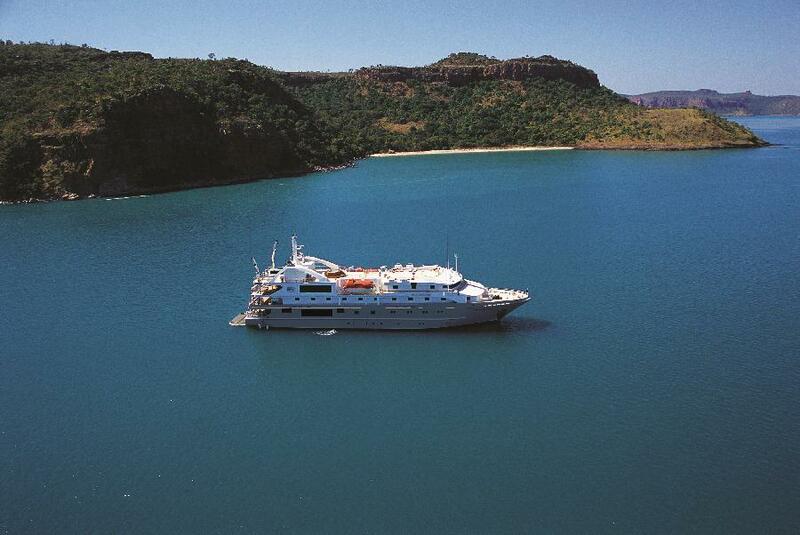 Accommodation comprises 36 spacious, modern staterooms. 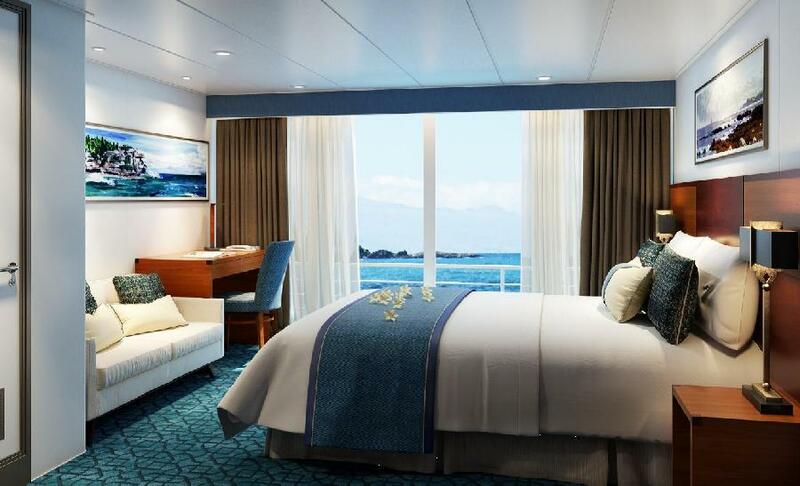 Select from well-appointed Bridge Deck Balcony Staterooms, Promenade or Main Deck staterooms offering a choice of twin or junior king bedding. All staterooms have an ocean view, en-suite facilities, settee (except Promenade B Staterooms), a large wardrobe and are serviced daily. Inclusions: Accommodation, shore excursions, all meals, house beer & wine with lunch & dinner only, 24 hour tea/coffee & soft drink station and landing fees.